When it comes to oral health, properly caring for the gums is just as important as caring for the teeth. Gum health plays a major role in overall oral health. When gum disease develops, it can lead to serious dental damage and tooth loss. Restorative dentistry treatments are available to address dental damage and ensure the smile stays healthy and beautiful. However, before undergoing restorative treatments, the gums must be in good health. By understanding the causes of poor gum health, it's easier to take steps to protect the gums. To learn more about the causes of poor gum health and how to protect your smile, contact our Albuquerque, NM office. Poor oral hygiene: Poor oral hygiene, not brushing twice a day or flossing every day, is a major contributing factor to poor gum health. Smoking: Smoking makes it harder for the body to heal and fight infection, increasing the risk of gum disease. Hormonal changes: Hormonal changes during pregnancy, menopause, puberty, or a woman's monthly menstrual cycle can make the gums sensitive and make it easier for gum disease to develop. Genetics: Some people are more genetically susceptible to gum health problems. Certain illnesses: Certain illnesses, like diabetes, cancer, and HIV, can increase the risk of gum health issues. Pocket formation: As gum disease becomes more severe, pockets may form between the gums and teeth. Pockets develop as plaque and tartar settle at the gum line. As more debris collects, the gums are pushed away from the teeth, allowing more debris to settle and causing pockets to grow. Gum recession: Gum recession, which is when the gums pull away from the teeth, may occur when the gums are in poor health. Tooth decay: Gum disease increases the risk of tooth decay through gum recession and pocket formation. With both issues, the tooth roots are no longer protected by the gums and left exposed to bacteria, plaque, and tartar, increasing the risk of decay. Spread of infection: Gum disease is a bacterial infection that can spread from the gums to other tissues supporting the teeth, including the jawbone. Bacteria from the gums may also travel through the bloodstream and infect the heart, leading to a condition called endocarditis. 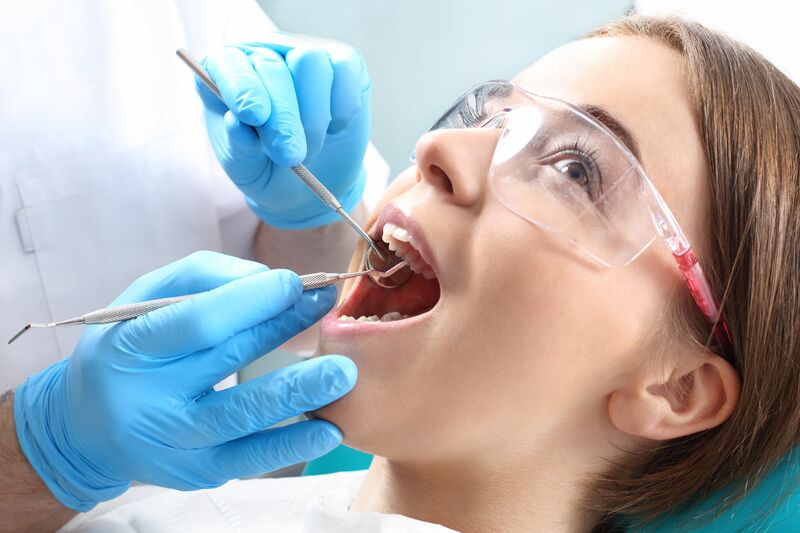 Tooth loss: Tooth loss may occur as a result of tooth decay, gum recession, pocket formation, or the spread of infection seen with poor gum health. The best way to keep the gums healthy is to practice proper oral hygiene habits everyday. Good oral hygiene habits include brushing the teeth for a full two minutes twice a day, flossing along each side of each tooth at least once a day, and seeing your dentist for a checkup and cleaning every six months. For more information about protecting your oral health or to discuss your dental care needs, we invite you to schedule a consultation with Dr. Wall today.